Is it worth it to play Mini Roulette? 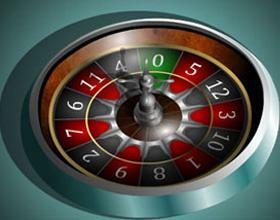 Roulette is one of those classic luck based games that you think of when you think of casinos. In movies where the setting of a casino shows, usually a roulette table is seen right on the spot, it will for sure be one of the games you will always see in the shot. ]There are plenty of versions of this classic game, too; there is the original European Roulette, American Roulette, and French Roulette. But there’s also a little variation (literally), that no so many people know about: Mini Roulette. As soon as it hit the scene the response has been staggering. Some of you might be thinking, “Mini Roulette? Why is it called Mini Roulette?” or “Mini probably means everything is smaller, even the pay outs. Is it even worth it to play Mini Roulette?” Well, let me assure you that the only thing that is mini about Mini Roulette is the wheel. Mini Roulette is nothing more than a simplified version of European Roulette. You must remember how European Roulette has 37 slots – the numbers 1 through 36 and the house’s number, the 0; when you play Mini Roulette you will notice that it only has 13 slots – the numbers 1 through 12 and the house’s number, the 0. This is the major difference between Mini Roulette and the other forms of Roulette. Another thing that you will discover when you play Mini Roulette is that the odds are different. Let us compare the Mini Roulette odds with European Roulette odds. In European Roulette the odds of scoring a straight bet are paid out 35 to 1 with true odds at 36 to 1. In Mini Roulette, since there are less numbers, the spread between the real odds of winning any particular bet and the odds at which those bets pay off. A straight bet in Mini Roulette carries a 11 to 1 pay out with odds of winning at 12 to 1. That marks a significant difference. Here is a quick rundown of the pay outs in Mini Roulette. A Split Bet, which covers two connected numbers, pays off at 5-to-1 odds, but the odds of it winning are actually 5.5-to-1. A Street Bet, which involves a row of three numbers across, pays 3-to-1, with the odds at 3.3-to-1. A Corner Bet, with four numbers in a “square,” pays 2-to-1 with true odds at 2.25-to-1. A Column Bet, where you would bet on a column of four numbers downward in the layout, has the chances of winning as the Corner Bet. Any even money bet carries 1.7 to 1 odds. That would be Red/Black, Odd/Even, or High/Low. Another thing that you will notice when you play Mini Roulette is that the house edge is different. In American Roulette the house edge is 5.26%. In European Roulette the house edge is 2.63%. In Mini Roulette the house edge is 3.85%, but you do have to consider that the odds of landing a specific number are higher making the 0 more likely to come up.